Coinciding with the adult use legalization of cannabis across North America, an opioid epidemic has emerged. It is estimated that more than 130 people die each day due to opioid overdose in the United States alone, according to the U.S. Department of Health and Human Services (HHS). The organization reported that, in 2017, nearly 50,000 Americans died from overdose of these analgesic drugs, while a whopping 2 million misused them. How did this health emergency occur? In part, pharmaceutical companies in the late 1990s made claims that their then-new products (intended mostly for the treatment of pain) were not addictive. This reassured doctors and healthcare professionals that prescribing opioids was safe, triggering mass adoption and millions of consumers of these potentially dangerous drugs that have proven to be highly addictive (and are sometimes prescribed to children). Unfortunately, mass endorsement by doctors and the medical establishment has contributed to widespread addiction to these pharmaceutical drugs. In response, government and medical oversight bodies have begun to monitor and limit individual prescriptions. Unfortunately, this often results in severe substance abusers simply turning to even more dangerous street drugs, such as heroin and synthetic opioids like fentanyl, continuing the cycle and further exacerbating the problem. Few medical professionals better understand the reality of opioid addiction and how the cannabinoids and terpenes produced by cannabis can be employed as an adjunct therapy in the successful treatment of the disease than Dr. Peter Grinspoon. A Harvard-trained primary care physician with a clinical practice in Boston, Grinspoon teaches at Harvard Medical School and is a board member of Doctors For Cannabis Regulation. He documented the addiction he suffered during the early 2000s and his resulting recovery—assisted by the use of cannabis—in his 2016 book Free Refills. In an exclusive interview with the Strainprint Community, Grinspoon provided insight into the current prescription painkiller epidemic and how cannabis may help some patients to overcome their affliction. 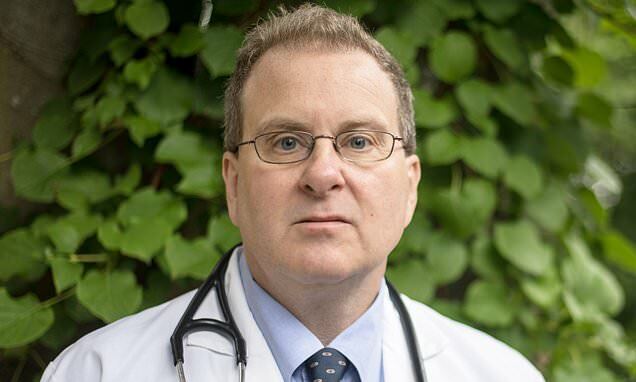 Dr. Peter Grinspoon: “The opiate crisis is totally out of control in the United States and Canada isn’t far behind. In the U.S., we lose more people each year to opiate overdoses than died in the entire Vietnam War. It is absolutely an epidemic. “As a healthcare provider, I feel a sense of helplessness when I lose patients. But as someone who has been addicted to opiates, I understand how utterly and completely opiates can hijack one’s brain and start, in effect, calling the shots and making the decisions. PG: “There are a variety of ways. First, one can prevent future opioid addiction by using cannabis instead of opioids for chronic pain. This is because we know that a certain percentage of patients who use opiates will become addicted to them (the exact percentage is a subject of debate). “Use of cannabis can help chronic pain patients decrease their dosage of opiates by around 80 percent because the cannabinoids and opiates tend to exert their analgesic effects on the same receptors. This is critical, because much of the harm that opioids cause is dose related. Moreover, motivated patients can be transitioned off of chronic opiate treatment and onto cannabis, which is obviously much safer. “In terms of people who are actively addicted to opiates, many (myself included) have found cannabis to be an effective medication for withdrawal symptoms—both on it’s own and in the context of methadone and buprenophine treatment programs. Studies have shown that cannabis users do not do worse and, in fact, may have higher retention than non-users in some of these programs. PG: “Absolutely. While virtually every human society has used intoxicants for pleasure and religious purposes, our society is extremely puritanical and hypocritical about which intoxicants it sanctions. This, of course, has to do with the complex history of cannabis, which has been heavily influenced by racism, competing commercial interests (the alcohol industry and big pharma), and politics. PG: “Dosing is somewhat of an iterative and trial-and-error process. I always caution patients to start low and go slow. Anxiety is a good example of a negative side effect because the dose response generally tends to be biphasic. In other words, in low doses, THC can decrease anxiety; in higher doses, however, it can do the opposite, exacerbating anxiety. CR: “One of the most common queries I receive pertains to consumption avenues and bioavailability. What do you believe are the optimal avenues of consumption for cannabis products for seriously ill patients? Do they vary based on use case and subjective efficacy? PG: “Yes, I would say that it varies greatly, with a few generalities. Tolerance can be a big issue. Often, larger doses in the form of edibles are required to get around this. Edibles also prevent patients from continuously vaping, which can become irritating to the lungs. Edibles should be considered long-acting pain control, with vaping serving as more of an ‘as needed,’ or adjunct treatment, for breakthrough symptoms. “Sublingual preparations are also a very convenient way for patients to consume cannabis. For example, a physically impaired hospice patient, just as they can receive morphine sublingually, can also enjoy this non-invasive and comfortable consumption avenue for cannabis. Inventor of #TerpeneTuesday, all things science and Cannabis! 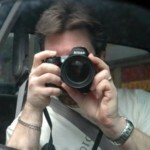 Curt Robbins is a technical writer, photographer, and compliance documentation specialist for the cannabis industry. Since 2004, he has contributed feature articles to a variety of magazines and media outlets, including High Times, CannaBiz Journal, MERRY JANE, MassRoots, WoahStork Learn, The Emerald Magazine, Grow Magazine, Herb.co, The Kind, Skunk, Cannabis Culture, Whaxy, Heads, Weed World, Green Flower Media, Cannabis Health Journal, Green Thumb, and Treating Yourself. His cannabis-related photography, spanning back more than a decade, is available on Instagram. He tweets from @RobbinsGroupLLC and is active on LinkedIn and Facebook. Robbins has developed more than 130 cannabis license applications to date. One hundred of these were for outdoor cultivation in Humboldt County. He has developed cannabis business plans and operational plans for industry segments such as manufacturing/processing and cultivation for clients in Humboldt County, San Francisco, Denver, and Los Angeles. At the municipal level, Robbins has developed applications for Lynwood, Costa Mesa, Cathedral City, Eureka, and Santa Ana (all in California). At the state level, he has worked on or led teams for application development for licenses in Illinois, Maryland, Nevada, Pennsylvania, Ohio, and California. These applications have been in the industry segments of manufacturing/processing, cultivation, distribution, and retail/dispensing.